Windows and exterior doors are part of a home's "building envelope," the barrier of building materials that separates interior living space from exterior space. When windows and exterior doors aren't up to snuff in terms of energy performance, the home's energy efficiency suffers, and home occupants aren't as comfortable as they'd like to be. We offer replacement windows in Rockville, Gaithersburg, Bethesda as well as Pasadena, Highland, Glen Burnie, Severna Park, Severn, Laurel and all surrounding areas. 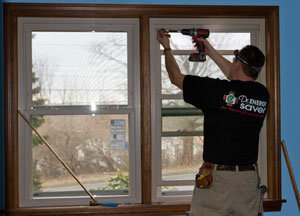 Dr. Energy Saver Central Maryland will provide a Free Estimate to replace inefficient, out-of-date units with new replacement windows and new exterior doors. Call or email for a free inspection and estimate today. 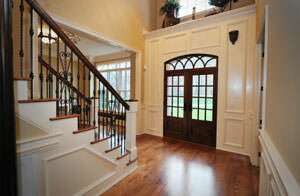 Since many different door styles are available, you'll want to look at a variety of doors before making your selection. To avoid the expense of altering the existing opening, make sure your new door is sized to fit in the existing rough opening. 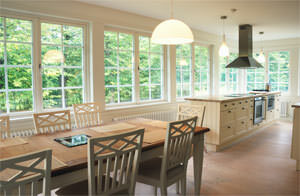 Call 1-833-483-5965 or contact us online to schedule a free home inspection and windows and doors estimate. We also offer a comprehensive home energy audit.